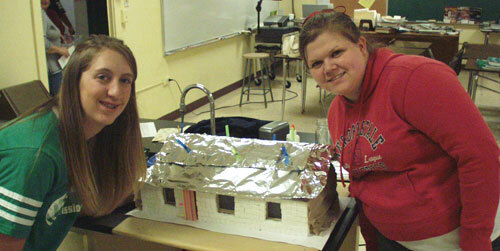 The Physics class, while studying energy, made these houses. Their project was to build an energy effiecient house in the desert. 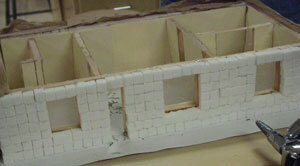 Erica, Kristi, and Tanner made a house out of sugar cubes, which represented cinder blocks. Their house was an underground house with the roof above ground.